So… how did Perfect Dark Zero go then, Pete? That’s the question on everyone’s no-one’s lips after my bold proclamation last week. Ummm… well… at least I installed the game on my 360. So that’s a start. 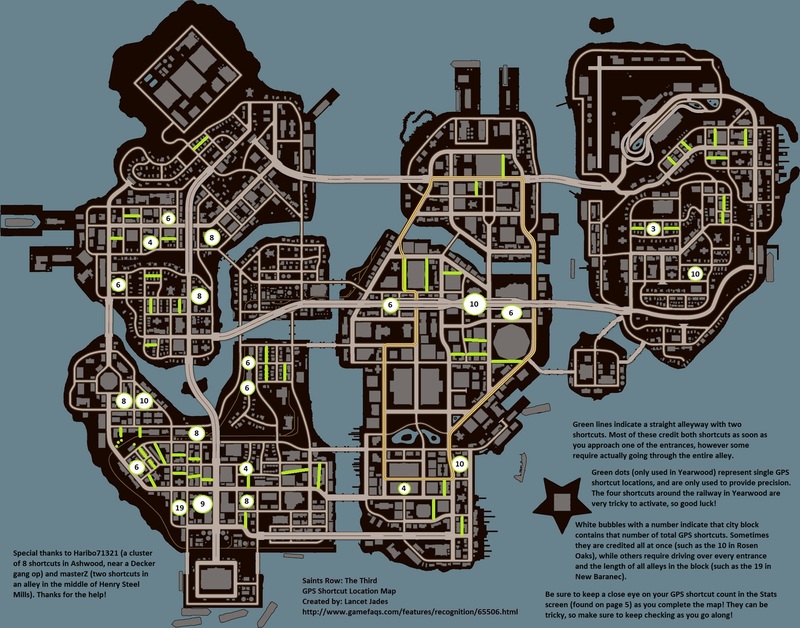 But apart from that, the only real action on the 360 front was a little more progress in Saints Row: The Third; most significantly, all the GPS shortcuts have been found – it turns out that the aforementioned map is actually complete! So that’s a significant step forward, and now I’m just tidying up a few remaining Challenges before surging through the rest of the game. I’m currently sitting at 81% on Playthrough 2 (Female Voice 1); probably only another ten hours left on that one. But most of this week’s gaming action has been on the PS3. I’ve been listening to various podcasts (most notably Giant Bombcast and 8-4 Play) rave about Journey, and the idea of the anonymous Companion player really intrigued me; sure, I’ve had pretty good luck with online players, but the guys (and, let’s face it, they are always guys) who have irked have really, really irked. Taking that opportunity for disappointment out of the equation sounded like a brilliant move. But the OCD in me wouldn’t let me just leap into Journey; I had to trek back and engage in thatgamecompany‘s earlier works. PSN obliged with their March sale, putting both flOw and Flower up for cheap; I finally got into flOw‘s groove last week, and I started cleaning up Trophies one-by-one this week whilst absorbing the gentle vibe of the game. The final impediment to completion was the Cannibalism Trophy, an annoyingly finicky task whose precise requirements did not really gel with the loose nature of the motion-only controls. But – one extra controller and several dozen attempts later – it eventually popped, and flOw was crossed off The List. I’m not sure it’s something I’d re-visit, though there’s some soothing distractions to be had (if one chooses to ignore the “goal” of the game). Cannibalism popped on Saturday morning, and a plan hatched in my head: if I could power through Flower in the afternoon, I could have my first of no-doubt-many Journey playthroughs on Saturday night (yes, that’s right: super-social party-person that I am, I opportunistically decided that a Saturday night was the perfect time to play through Journey for the first time). And my first impression of Flower was far more positive than that of flOw – that’s not to say that I disliked flOw per se, it’s just that Flower was immediately more engaging, with less ambiguity as to what you were actually doing. But I found myself to be a bit conflicted with Flower… see, all I’d heard and read about it suggested that it would provide a peaceful experience. And that’s not what I felt at all; for one thing, the wind mechanic that you use to drive your petal protagonist along is far too active for me to feel at peace. It’s akin to a racing game at times and, whilst there’s (mostly) no penalty for failure or “crashing”, the speed of movement and dropped camera angle raises my heart rate, not placates it. On completing the first level, there’s a slight key change to the score and an ominous rumble through the DualShock, and we’re treated to a view of a tree in a field – and I’m somehow reminded of the view at the end of Portal, where it’s quite obvious that you’ve “won”, yet are laying injured on the floor. It’s that kind of off-kilter view – though much more colourful, of course… but I realise that’s a very negative perception. The end of the second level makes me look at things more positively; with the rainbow in the distance, it’s almost like I’ve just woken up from a nap in a field. The rest of the levels go by in a bit of a blur; the shocking power lines are an unwelcome change-up, and the final level’s paint-the-city mechanics yield some navigation frustrations and OCD niggles. But it’s an interesting experience, to be sure; I’ve snaffled less than half the Trophies so far, and am really looking forward to whisking around those environments again… though I’ll be under no pretences that it’s a “peaceful” game. Now, squillions of people have already waxed lyrical about Journey – check out the abovementioned podcasts, or Brainy Gamer (this post is a good start). And, whilst my first playthrough was really enjoyable, I was left feeling… well, a little disappointed, actually. I wound up having five Companions flit in and out of my game, all of whom seemed to be as new to Journey as I was; there was little communication between us, and whilst there were some great team moments – tackling The Underground section was an interesting time as we both got battered before collectively figuring out the best approach to take – the Companion felt more like an Acquaintance. Heading towards the end of the game, I was separated from my final Companion somewhere in the snow… and so I wound up doing the (glorious) ascension alone. And that really made sense to me, at the time: it really felt like The Way it should be. And when the list of my fleeting companions came onscreen after the credits washed over me, I bore them little heed. They were in the vicinity when I did Some Stuff, but they had little real impact on me. Like I said – I turned Journey off last night feeling a little let-down. Disappointed. I felt like I’d let Intarweb hype get to me, building my expectations up beyond all reasonable hope. But, since I only got one Trophy from that run, I decided to have a second play this morning. The first Companion I got matched with was clearly familiar with the game – they were wearing the white robes that are available if you’ve found all the Glyphs and Symbols. And, as we played, I allowed him to lead me through the game. Using a language of chirps, he guided me towards nearly every point of interest. I’d chitter a thank-you as he led me to a Glyph; he’d reply with a you’re-welcome… at least I thought it was, but his admonishment (when I missed one of the Symbols) sounded pretty much the same. And their guidance provided a completely different experience to me. Their chirps of encouragement (well, that was my perception, anyway), of come-hithers, of get-ready-to-run… they fostered a sense of gratitude in me. When we took a moment to play – to “feed” off each other’s scarf-restoring properties as we flitted in the air (it makes sense, trust me)… it felt absolutely joyous. And we stuck with each other in the snow… and that bit before the ascension, my DualShock feebly rumbling in my hands, was genuinely upsetting. In fact, I got a little mad at Journey at that point. You’ve allowed us to grow together, I wallowed, and then you allow that to happen? But the ascension – which I’d found perfectly delightful solo, revelling in the experience – more than made up for it. A soaring experience, dancing in the bright colours, and a triumphant walk into the light. And then Nivekien and I parted ways. I felt compelled to immediately send them a message thanking them for the experience… because I couldn’t believe how powerful that connection was, despite being mute and anonymous. I’d love to say that Journey absolutely nails it, that it’s an early contender for Game of the Year. But I can’t. The game itself, despite gorgeous aesthetics and a wonderful sense of movement (walking uphill in the desert is perfectly done, and the flying mechanic is a joy), merely facilitates connections between it’s players. But it creates a space for those connections to evolve into meaningful relationships, and it does so in a way that no other game can even think about doing. And for that reason alone I’ll urge anyone and everyone to play Journey.